"Hendolhurst Homes worked with me to design, plan and complete a first floor remodel and addition. My first floor was dated and my kitchen was small which made entertaining difficult. Ryan and Hank collectively worked together to design a floor plan which met my needs. They took out a few walls and added a small addition to my dining room which became part of my kitchen along with adding a beautiful fireplace and redefined the living space to become more usable and updated. I now have a spacious first floor with a beautifully large kitchen which is great for cooking and entertaining. I recommend using their services for remodels as well as new home building."" Hendolhurst Homes worked with me to design, plan and complete a first floor remodel and addition. My first floor was dated and my kitchen was small which made entertaining difficult. Ryan and Hank collectively worked together to design a floor plan which met my needs. They took out a few walls and added a small addition to my dining room which became part of my kitchen along with adding a beautiful fireplace and redefined the living space to become more usable and updated. I now have a spacious first floor with a beautifully large kitchen which is great for cooking and entertaining . I recommend using their services for remodels as well as new home building." "We can honestly say that working with Hendolhurst Homes Inc. has been an absolute pleasure. Thanks to you and your team we now have a home that really works. We can honestly say that working with Hendolhurst Homes Inc. has been an absolute pleasure. Thanks to you and your team we now have a home that really works. Thank you for keeping us informed of the schedule and progress during each stage of the remodel allowing us to plan and keep our busy household on our feet! Thank you too for providing excellent trades people, from the demolition team to the painters and everyone in between, all trades were prompt, courteous, and highly skilled, we're going to miss having them around! We are so pleased with the completed project;the quality of the craftsmanship is evident throughout and we just love the look and feel our new living space. We are so pleased with the completed project; the quality of the craftsmanship is evident throughout and we just love the look and feel our new living space. We are already looking forward to working with you again in the future!" "After a recommendation by a friend, my wife and I hired Hank and Ryan Swierczynski of Hendolhurst Homes, Inc. for a remodel of my daughter and son-in-law's home in The Heights of North Park in Pittsburgh, PA. After a very impressive initial meeting, we started to receive detailed specs of the job including drawings of the different areas we were going to be working in. This was important because I was trying to coordinate this job from Houston, TX. Hank and Ryan were always available and listened to our vision, while also interjecting their own ideas as to how to bring this to fruition. Their crews were extremely professional and treated my kids with respect. Since I could not be there it was important that I could feel comfortable that workers were in the home. Hank's men, John and Rob, took this worry away. And the quality of work was second to none. We are ecstatic with the end result. I would highly recommend Hendolhurst Homes, Inc. for ANY building or remodeling needs.After a recommendation by a friend, my wife and I hired Hank and Ryan Swierczynski of Hendolhurst Homes, Inc. for a remodel of my daughter and son-in-law's home in The Heights of North Park in Pittsburgh, PA. After a very impressive initial meeting, we started to receive detailed specs of the job including drawings of the different areas we were going to be working in. This was important because I was trying to coordinate this job from Houston, TX. Hank and Ryan were always available and listened to our vision, while also interjecting their own ideas as to how to bring this to fruition. Their crews were extremely professional and treated my kids with respect. Since I could not be there it was important that I could feel comfortable that workers were in the home. Hank's men, John and Rob, took this worry away. And the quality of work was second to none. We are ecstatic with the end result. I would highly recommend Hendolhurst Homes, Inc. for ANY building or remodeling needs." 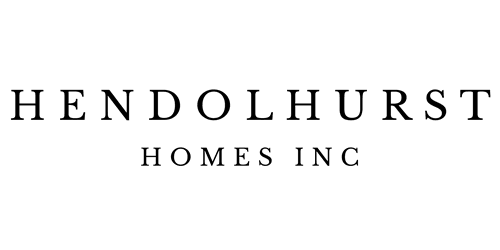 "We have used Hendolhurst homes twice in the past three years. The first project was a renovation of a large attic space converting it into a playroom and study. Second was conversion and finishing of our basement. With the initial project we were extremely happy with the results. The attic space had some limitations due to the nature of the ceiling. The design and finishing of the project were excellent. Both Hank and Ryan worked with us to customize some aspects of the play room including building a treehouse/fort for our children. The unique nature of that fort has been a very nice addition to the project. Quality of the workmanship and finishing in the study were also excellent. Our basement project was an even more extensive project and once again the team worked with us to customize some of the aspects. Much of the finishing was done with salvaged Barnwood. The design and finishing were again excellent. In addition, the team worked with us to build a professional quality gym space exactly to our specifications. During both projects, the workmen involved with the projects were extremely prompt and professional. Both projects were completed in the expected time and the team is very flexible with additions that were needed or requested by us as the process progressed. We would give Hendolhurst homes our highest recommendation."